It is now the day after our induction for cohort 2. It was indeed a full day and a very long one. It felt much longer than last time despite the fact that we have actually cut bits out. We need to do less. Yes, less is more and a lot of the stuff that we went through could be done through self-study and online activities. But then again you will have some people participating and others not. 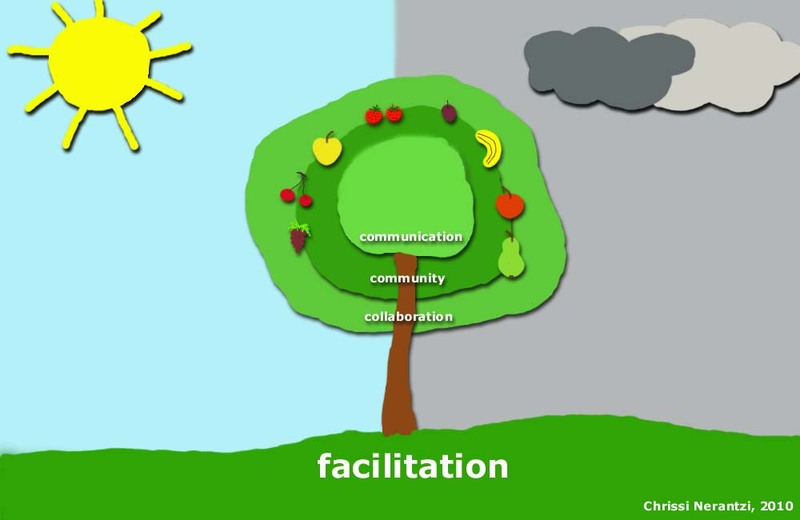 How will we be able to engage everybody from the very beginning and how can we create the so vital learning community? Some people couldn’t make it, others arrived later and others left before we finished. It is a busy time of the year for everybody and I think this influenced yesterday as well. The levels of participation were good and I could sense some thinking and deeper engagement already but I also felt that some were just not there 100%. This is hard. Hard for us but also hard for the participants, or students how I like to call our participants. Some of the activities were not understood fully. Some didn’t see any purpose in these. – share an episode (and everybody was given a red-paper heart to capture their thoughts), something very good or bad that happened to them. – what they would do differently if they would experience something similar in the future. Isn’t this what we do on a day-to-day basis? Do I assume that what everybody is doing? Maybe we are not all reflecting. Maybe we don’t really know what it is. Maybe the instructions were not clear enough. But I wanted it to be something more organic and it didn’t really work well at all. I have to rethink my approach. Teaching and learning and emotions? Some I think were surprised with this combination. Should education be something de-emotionalised? We all have emotions when we care about something, about somebody. Should we not care about our students or do we have a responsibility to care? Something to think about and I intend to come back and look at this a bit closer to explore if emotions and feelings don’t really have a place in education or if they are indeed a vital ingredient of teaching and learning. I will stop here for now. I will be back with regular reflections, this is my decision… if you were wondering. Any comments would be very welcome. Yes, I am encouraging a dialogue about my thoughts and our joined journey on this module. Speak again soon. 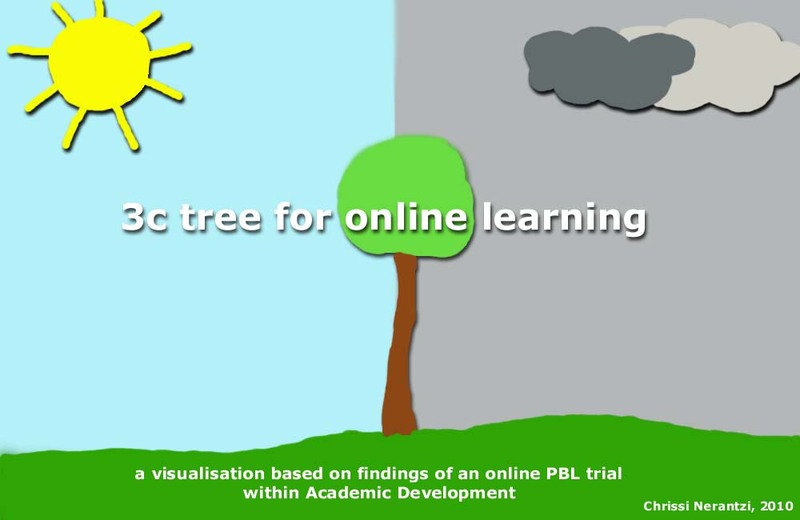 This is an attempt to visualise some of the findings of the recent online PBL trial. and learn together to (co-)construct new knowledge. 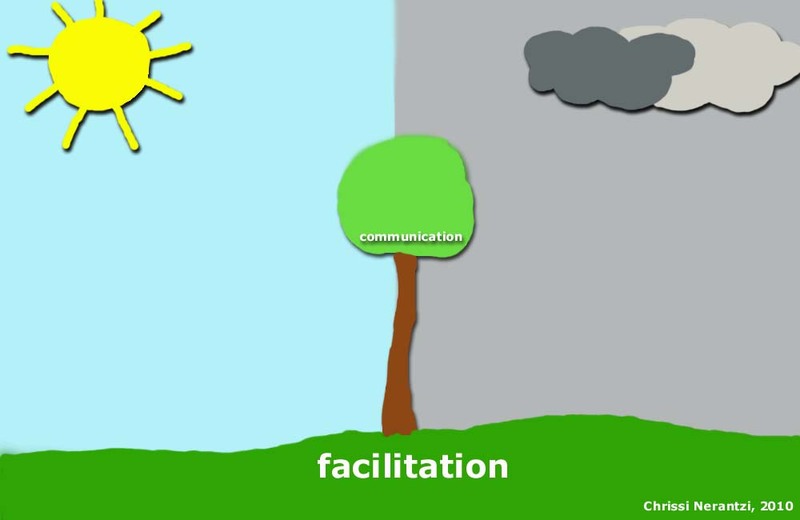 The above is a very simplistic representation of my thoughts linked to the role the human factors play within online PBL and other online learning activities more generally. I felt the need to create the 3c tree. It helped me understand better how the human factor, and especially online facilitation, influences and to what extend online collaborative learning beyond peer-to-peer support structures. 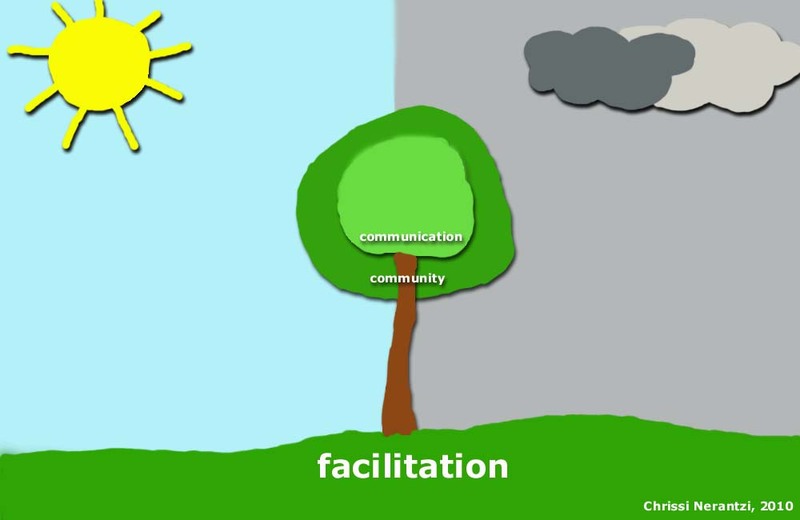 Facilitation is what holds it all together! LAK11 - who are we all? A few weeks ago, the online PBL trial I organised finished. This was an experiment to explore if online PBL would/could work and how with PgCert in Academic Practice/Teaching and Learning in Higher Education participants from different institutions. The findings are very interesting and I am currently in the process of writing them up and present them during the next PBL Conference at uclan in spring this year. My intention was to create an open online experiment, nothing massive but the intention was to have it open. Well, in the end this didn’t happen. And this brings me to LAK11 (Learning and Knowledge Analytics 11 starting on the 10 of January – still some days left if you would like to join!!! – I was actually looking to ‘recruit’ some of people I know and am now thinking why this seems to be important for me. Maybe it is because it will be ‘easier’ to connect with people I already know, maybe it is to feel part of a small community from the beginning to be together with others on this journey). Some initial thoughts: Yes, I decided to participate despite the fact that I will be busy and I already sound like the participants of my little trial but this is a reality. Time! However, I strongly feel that we can make time for things that matter. We don’t always take the right decisions but we learn through our experiences or should… I have started skimming the documention of this MOOC and it sounds challenging. I am going to give it a go and hope to connect with peers who feel passionate about learning and engage in conversations with them in the different platforms. Speaking of platforms, I noticed that a number of them are used. And I guess we need to get used to multitask- and multplatform work and learning to get the maximum out of it. But some don’t see it this way. Technologies can be overwhelming and we tend to ‘stay’ with the ones we are familiar with. Refusing almost to try a new one. This however, is not an unusual human behaviour and if we see it as such we might be able to understand it better. In my little online PBL trial, 2 tools were used and findings suggest that this was really confusing for many of the participants and the facilitators. I am therefore wondering, are we ready for that type of working and learning? How can we prepare ourselves better? Are some more ready to give it a go than others? How can we develop less resistance to use new technologies and the phobia we might have? Does using them more, give us the confidence we need to be more adventurous with them? Another interesting aspect of the LAK11 and the MOOCs in general is the open and public aspect of learning. This is something that I think makes learning more transparent, does give as a sense of responsibility and ownership too. In theory, what about practice? I guess, I will find out and it will be interesting to find out what everybody else is thinking too. What I like so far? The daily digest! It is always good to be reminded what is happening and how I can engage. Creating a sense that I am not forgotten and making it somehow personal despite the fact that the same message goes out to all participants.